MATRIC pupils will be writing their final exams in a few days. 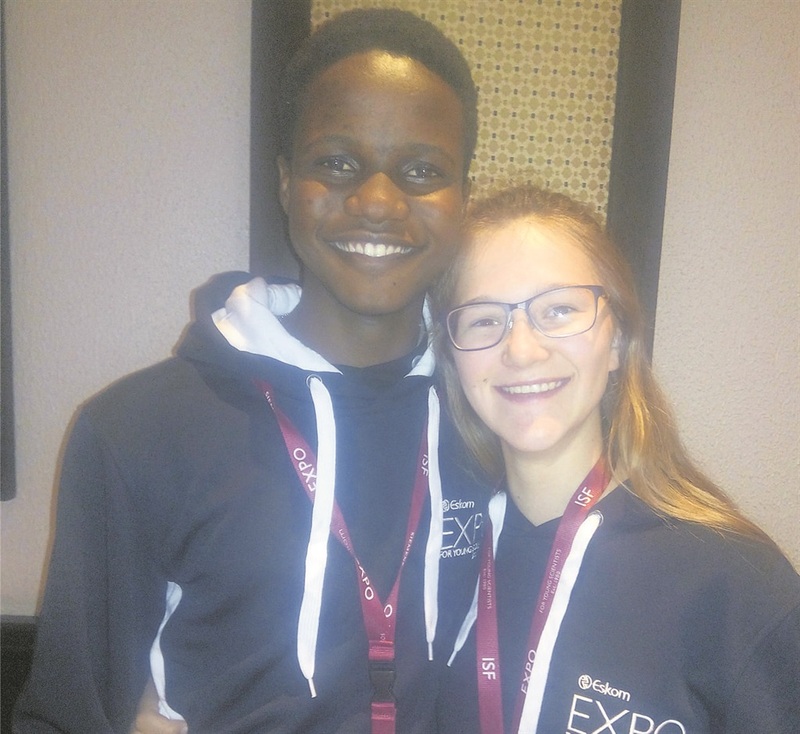 SunEducation spoke to two matric students, Samukelo Sibeko (18) and Daniella Isele (19), from Shangri-La Academy in Kempton Park, who attended the International Science Fair earlier this month in Joburg about their exam preparations. Daniella said that, while they did not win anything, they found the competition worthwhile. “It was beneficial because we had to learn a lot about the physics of electrodynamics and electromagnetism. Daniella, who said that she wants to be a teacher or lecturer, said they brought their books to study because they knew the competition was going to take up lots of their time. Samukelo said he wants to make an impact by making something that will be used all over the world. More than 500 pupils from different schools all over the world, took part in this year’s competition. They showcased many impressive innovations in order to win prizes worth in total over R10 million. Top performing pupils were awarded bursaries from Eskom, Siemens, University of Pretoria and University of the Witwatersrand to study degrees in science, technology, engineering and mathematics. Other prizes included laptops, cash prizes as well as a chance to represent South Africa at international science fairs in the United States, China, Taiwan, Turkey, Zambia and Kenya. Aqil Variava was the winner. He was awarded the prestigious Professor Derek Gray Memorial Award for his pollution index. The project is an environmental management software programme that provides an in-depth analysis of pollution in freshwater water and provides possible causes based on the polluting chemicals and appropriate corrective measures. Aqil wins a full bursary to the faculty of science at the University of Pretoria as well as a ticket to the Youth Science Forum in Sweden next year. Brad Spies, from DF Malherbe High School in Port Elizabeth in the Eastern Cape, created a device called Spintacular. Its a small wind turbine that produces enough electricity to power lights and charge phones.